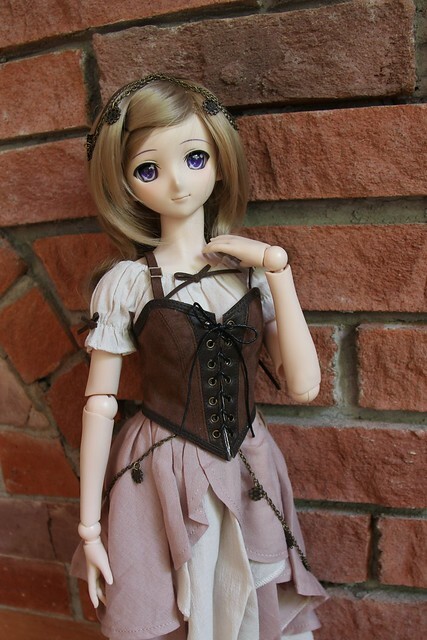 I debated whether or not to do a review of the Volks Balloon Dress Set, since many people already own it, but Innocentsaké gave me a nudge, so I’ll do it – this was third outfit that I was able to get from the Dolpa 33 After Event. I was extremely lucky to be able to acquire three very sought after outfits in one click war. 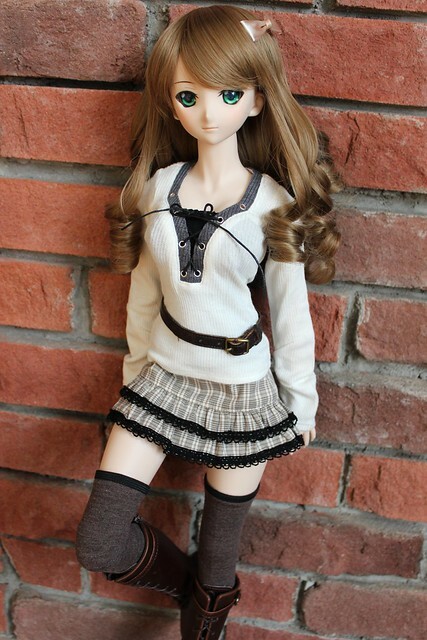 This outfit was originally released in April 2012 to not a lot of fanfare and then all of a sudden it became a highly sought after outfit and it was at the top of the wish lists for many Dollfie Dream owners. I’ll be honest, I was more interested in the white shoes and the Freesia Flora set when the items of this small collection was announced back in 2012. I jumped on the bandwagon much later after seeing owner photos of the outfit. The Balloon Dress set was so popular that Volks re-released it in a pink colour-way for Dolpa 29 and it sold out right away. I wasn’t a huge fan of the pink version so when Volks announced that they were re-releasing the “Green Apple” colour-way again I was quite excited! 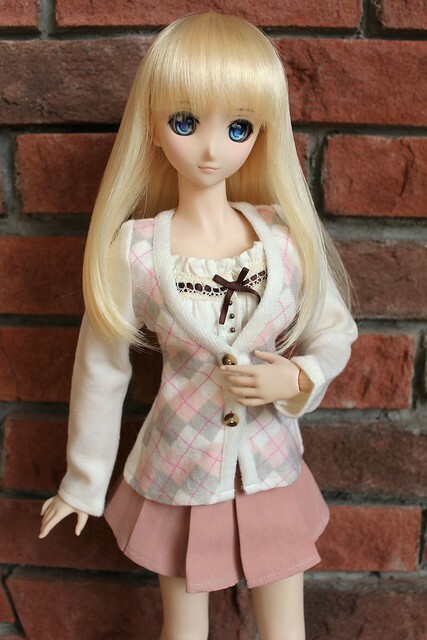 This outfit is labelled to fit the SD/SD13, SDGrG, and Dollfie Dream (S/M/L busts). Everything except the jeggings (… jeggings. Jeans + Leggings = Jeggings) will work on the SD16 or DDdy as well, which gives it a lot of versatility. The jeggings would be far too tight to fit on the SD16 or DDdy bodies. My SmartDoll Mirai will be modelling today and she has the Small bust (which translates roughly to the M-bust on a Volks Dollfie Dream). Yesterday I did a review of the Volks Tree Fairy set from the Dolpa 33 release and today I’ll continue on to review the Flower Fairy set from the Designers Collection. 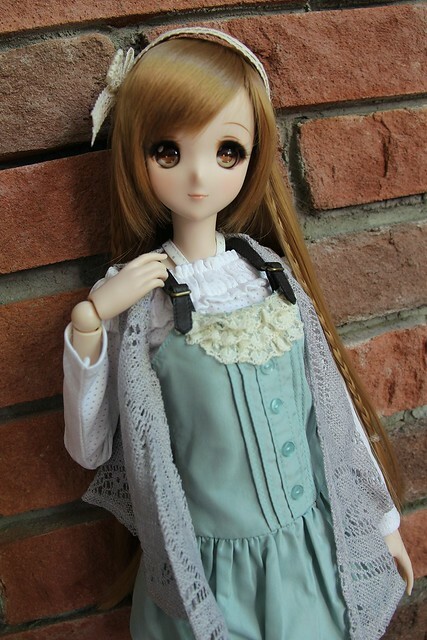 These are very similar outfits however this one is sized for the SD/ SD13, SDGr girl and Dollfie Dream (S/M/L bust). Sakura will be modelling and she has a medium bust. 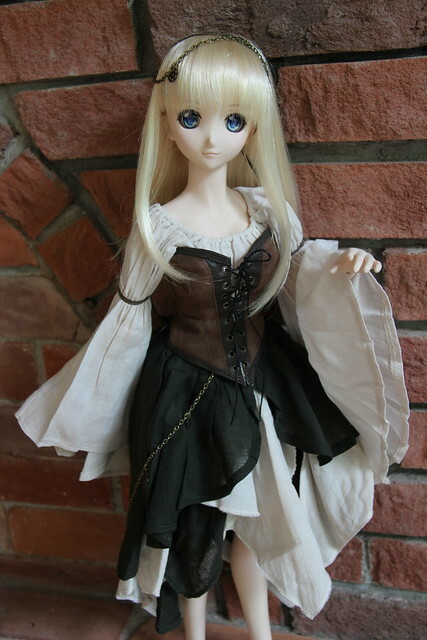 I was very fortunate to be able to acquire some of the outfits from the recent online After Event from Volks Dolpa 33. 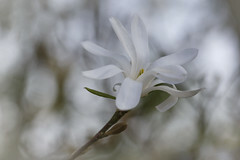 Today I’ll review the Tree Fairy set from the Designers Collection. 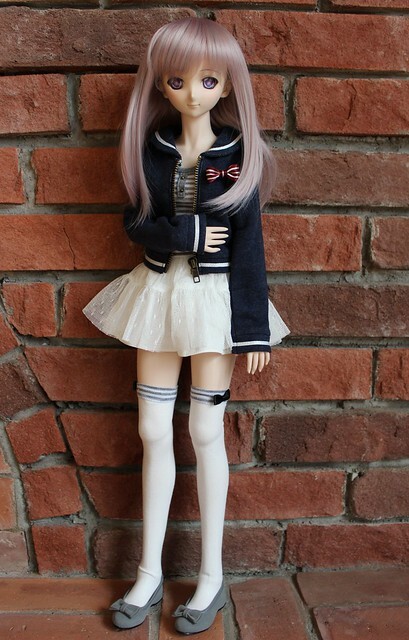 This was a very popular item since it is compatible was virtually all of the 1:3 sized dolls. The Volks website says it’s will fit SDGr Girls, SD16 Girls, Dollfie Dreams with M or L Bust and also the DDdy. Aerie will be modelling and she has a L-bust. The cardigan is a nice quality knit and I was surprised to see that the 2 buttons are functional! 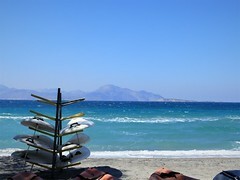 I was expecting them to be decorative only, with a hidden snap behind them. There is a reinforced edge and white lining on the inside of where the buttons and button-holes are. If you really don’t like dealing with buttons, it is possible to put the cardigan on without unbuttoning the front, but you’ll need to remove the hands from your DD in order to fit through the sleeves. The way that the cardigan is shaped lays very nicely over the back of the skirt without any bunching. 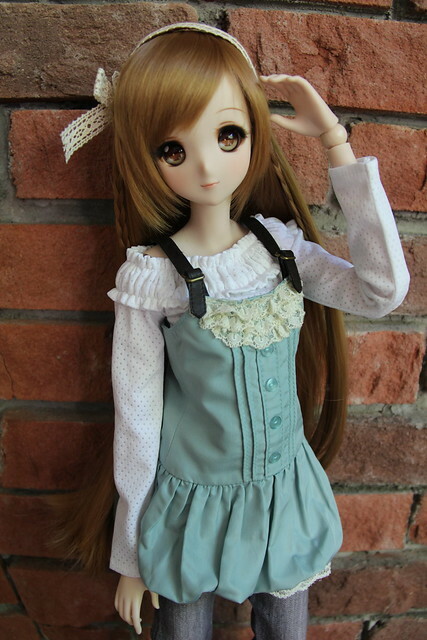 I don’t purchase many MDD outfits since I only have one 1:4 sized girl and also because I can usually borrow 1:4 sized clothing from my sister, however hubby fell in love with this sweet outfit set from Volks that was released at the Osaka 7 Dolpa a few weeks ago so I bought it for my little Médée! It’s called the Flower Tulle Skirt Set (DDTK-177) and here is my little cutie pie showing off her new clothes! Whee! 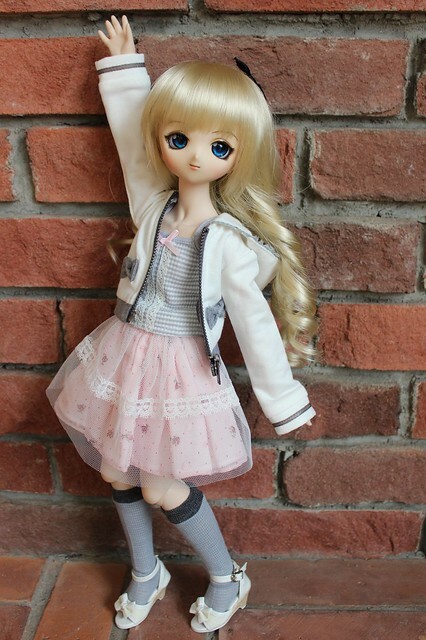 The adorable hoodie is sized for MSD, all bust ranges of MDD and I have a sneaking thought that I might be able to fit Gabi (DDS with S-bust) into it too ^__~” It features a functional zipper, and cute little bows as fake pockets. Yesterday I shared my thoughts & observations on Volk’s newly released Sailor Tulle Skirt Set (and I just added a couple more pictures of the outfit to that post! ), and today I’ll share my observations of the Lace-Up Top Set (DDTK-179). This was a very popular set and sold out very quickly at the Osaka 7 DP after-event online, and for good reason! It’s such a cool outfit – I would wear it myself! ^__^” Here’s Lily modelling it – she’s a DD3 with an L-bust. This outfit will fit M and L bust (although I imagine the black top would be loose) and also the DDdy. In my personal option this set was one of the best values of the sets released at the Osaka 7 DP (retail price is 6615 yen) since it came with so many components! A quick post today to review one of the newly released Volks outfits from the Osaka 7 Doll Party (Dolpa)! I managed to secure several of the outfits released at this event, and I’ll try to review them all promptly so that anyone who likes them can try to obtain them from Volks USA’s after-event in a few months time. This is the Sailor Tulle Skirt set (DDTK-178) (which at the moment is still in stock on the Volks International web store!) 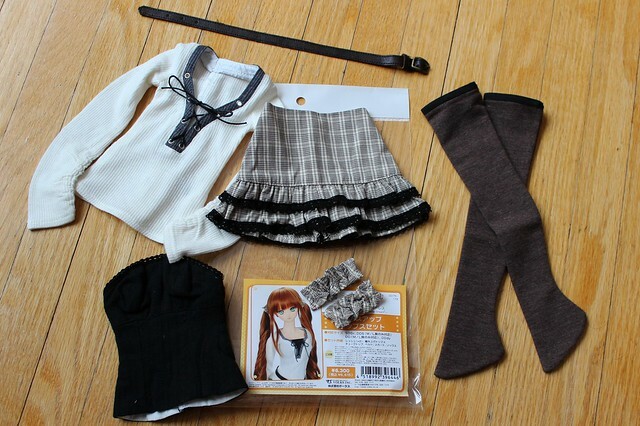 and it features a zip-front blazer, a tank top, skirt and thigh-high socks. 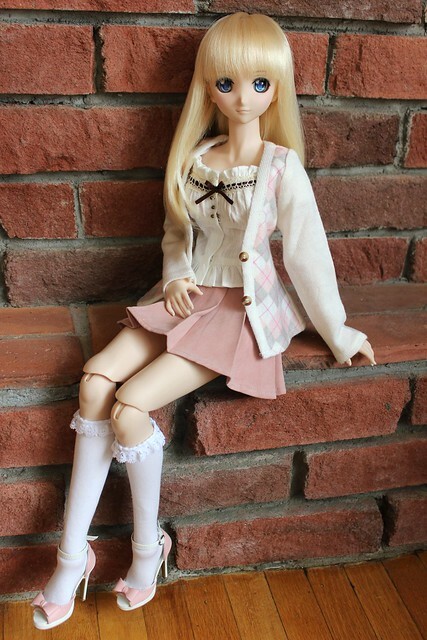 This outfit is designed to fit Dollfie Dreams with either small or medium bust, and here is Sakura modelling it.